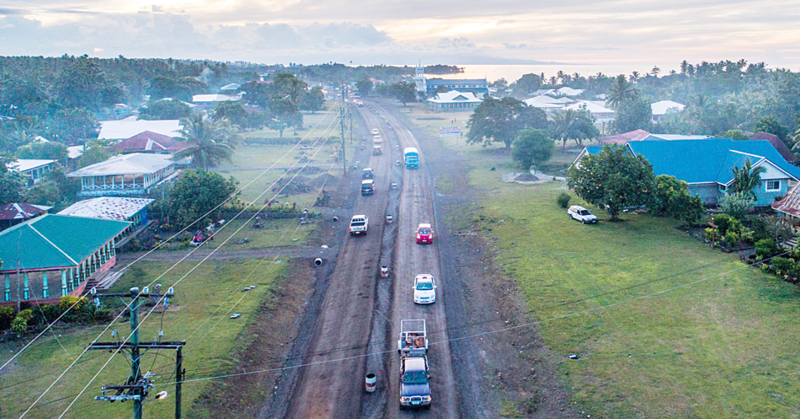 The Office of the Attorney General has appealed the decision by District Court Judge, Alalatoa Rosella Papali’i, to discharge the President of the Land and Titles Court, Fepuleai Atilla Ropati, without conviction. Fepulea’i had pleaded guilty to the assault of a Security Officer who was drinking alcohol on the job. In the appeal, the Office of the Attorney General, however, has made an application to the Court to have an overseas Judge preside. 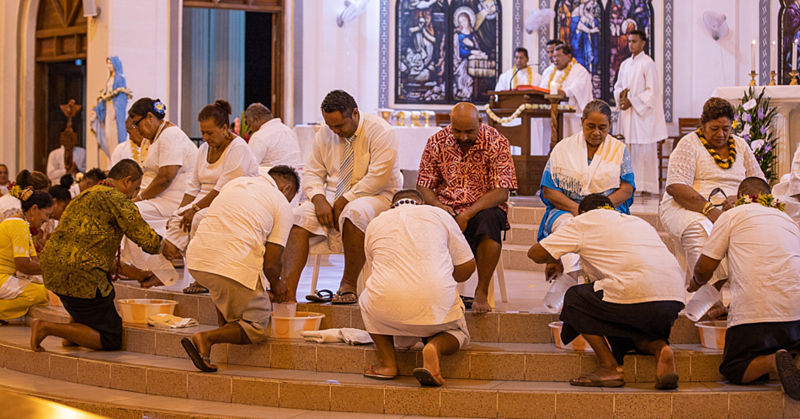 But the application was questioned by Chief Justice, Patu Tiavasu’e Falefatu Sapolu. 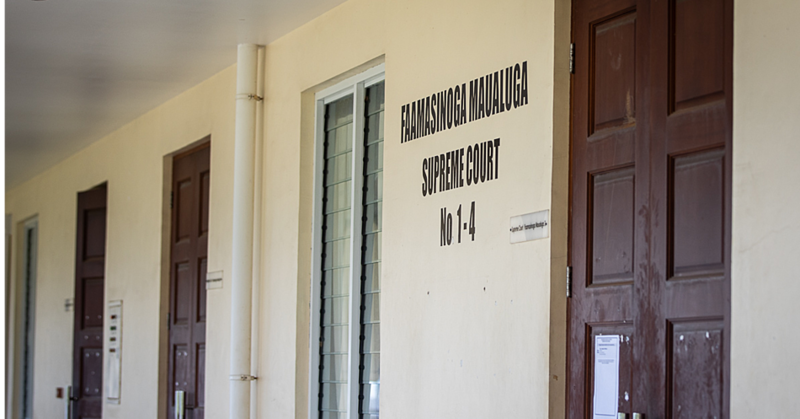 In court on Friday, Chief Justice Patu asked the prosecution to justify their request. “It seems like you are arguing from general principles of biased but I’m being more specific than that in a situation of this matter,” said Chief Justice Patu. “Because in all the cases that have applied the principles of biased that you are referring to, the local still dealt with the case if one local judge was disqualified on the ground of biased another local judge is appointed to hear the case. Prosecution lawyer, Rexona Titi said they haven’t. He had also stated cases that are directly to the matter. “Well I have to spend some time doing the research which counsel should have done and I have come across such a case,” he said. “And you might like to consider it in your submission which you have indicated could be filed and served before the end of today (Friday). “And that is the case between the Queen against Murphy reported in the 1984 Commonwealth Court Report volume 158 it’s an Australian case and page 596. “The fact of that case was that a judge of the high court of Australia was charged criminally with two counts of attempting to pervert the cause of justice. “And the prosecution was an Australian and the jury was made up of Australians and the Judge was also an Australian and that was before the Supreme Court of New South Wales. “Then after the judge was convicted, sought to reserve certain questions of the law for the opinion of the high Court of Australia where he was a member. “He was a judge of the High Court charged and prosecuted in the Supreme Court of New South Wales after being found guilty on the charges he applied to the High Court of Australia to govern certain questions of the court. “And his colleagues of the High Court of Australia heard the application even though the defendant was one of their own colleagues another member of the High Court of Australia. He added the fact of the matter is the said case in Australia was dealt by Australian Judges, first a trial was before a judge of the Supreme Court of New South Wales as well as the jury. “Secondly, the legal issues were dealt with by the High Court of Australia of which the defendant was a member and that very place,” he said. “And thirdly, the case was referred back to the full benched of the Supreme Court of Australia made up of other Australian Judges. He reiterated that the President of the Lands and Titles Court is not a member of the District Court or the Supreme Court. “There is that separation but here in these two cases, there is no separation the judges who dealt with the case same judges that sit on the same court as the defendant and no foreign judge was sought,” he said. Ms. Titi then asked for the court’s indulgence to have some time for prosecution to consider the facts that was mentioned. Last week, Fepuleai’s lawyer, Aumua Ming Leung Wai told the Court that the application made by prosecution is offensive. “I found the application to be ‘offensive’ as it is an ‘affront to the dignity of the Supreme Court’ or words to that effect,” he said. 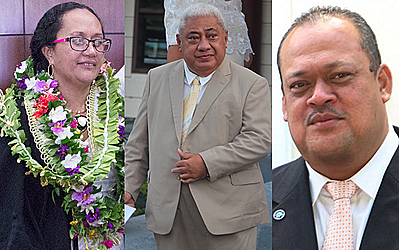 Chief Justice Patu then adjourned the matter until 20 July 2018.